The Wild West: The first towns and cities prosper, looking for suitable specialists. Driving their coaches over the game board, the players let their pioneers travel to the cities, trying to connect the cities to their own road network. Each pioneer has their own particular profession, granting benefits for the player if deployed at the proper place. 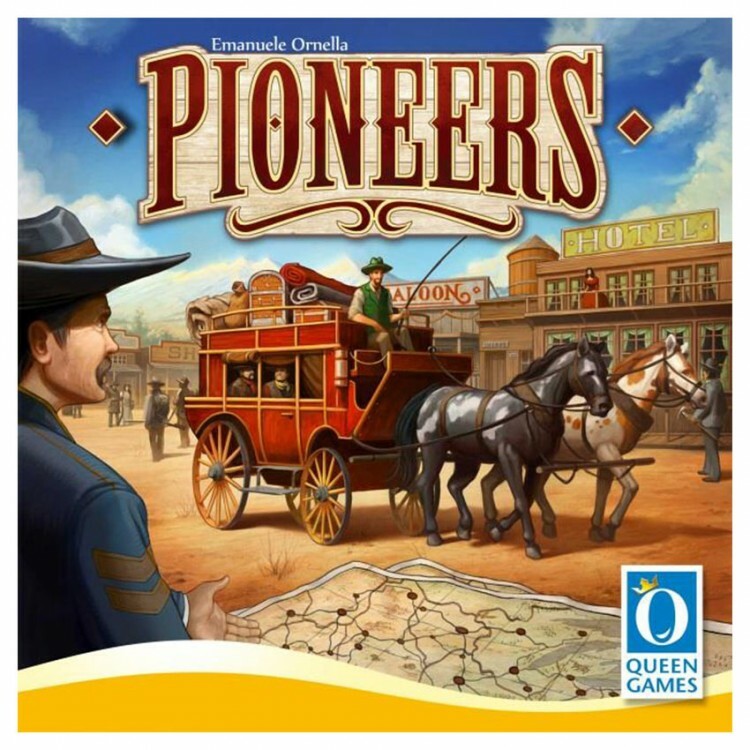 Pioneers is an exciting game for the whole family, with the players taking their chances by skillfully adjusting their tactics to the ever changing settings of the game.